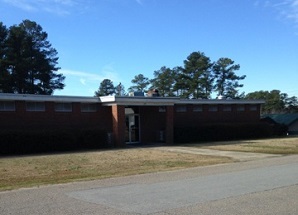 The Carey C. Jones Community Building (called locally the C. C. Jones Building) is a meetings facility open for use to anyone. The funding for the building and the land were bequeathed to "The People of Apex" (not the town) by Dr. Carey C. Jones upon his death. The building and grounds are administered by a private foundation set up under Dr. Jones' will. Location309 Holleman St, Apex, NC 27502. Hours Pool Hours are 10 a.m. - 8 p.m., Monday - Saturday and 1 p.m. - 6 p.m. on Sunday. Regular hours start June 6. When traditional school starts back in August, the opening time will be 4 p.m.. Monday - Friday. Copyright © C. C. Jones Building. All rights reserved.